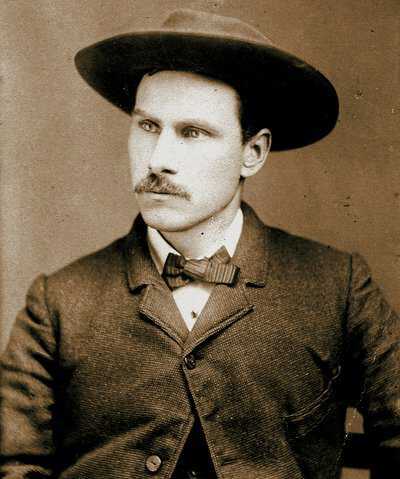 Although he never expected to be shooting against a woman on the Thanksgiving Day when they met in 1875, Frank Butler accepted defeat from young Annie Oakley graciously -- and went on to marry her, a decision that proved the best of both his personal and professional life. Born in Ireland, eight-year-old Frank Butler was left in the care of an aunt while his parents searched for a better life in America. At age 13, he made his own way to the U.S. and took a variety of odd jobs to survive. Butler cleaned stables, tried glass blowing, and even managed an on-stage dog show that ended ignominiously when the fire alarm rang at a nearby station and all the dogs raced off. Butler then developed a shooting act, banking on the growing popularity of marksmanship displays in America in the 1870s. He and his partner would perform as one of up to 18 acts in a variety show, rattling off trick shots for about 20 minutes before givin way to a ventriloquist, juggler, or magician. 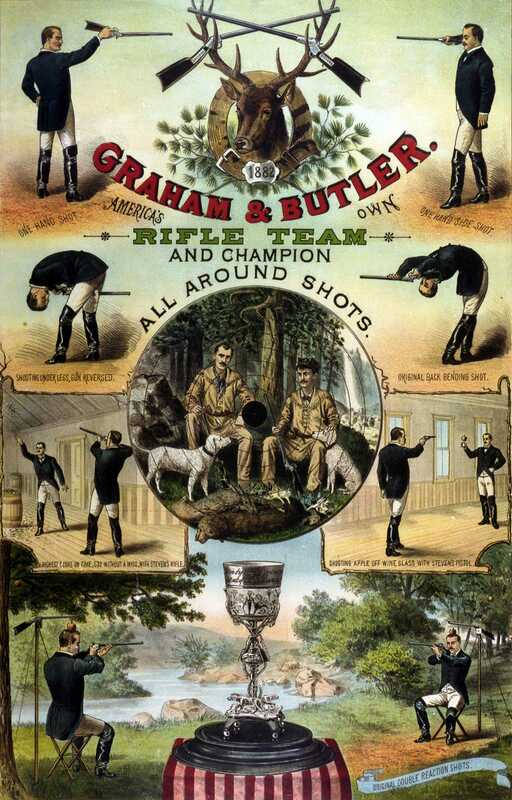 Butler frequently issued a challenge to any local shooting champions, and in November 1875, while he was performing in Cincinnati, someone took him up in it. There would be a match nearby, Butler was told, with a prize of $100. He accepted. The last opponent Butler expected was a five-foot-tall 15-year old named Annie. "I was a beaten man the moment she appeared," Frank later said, "for I was taken off guard." His surprise continued when his young challenger scored 25 hits in 25 attempts -- Butler missed his last target and with it lost the match. But he recovered quickly enough to give Annie and her family free tickets to his show, and soon he began courting her. Butler was 10 years older, had been married and already fathered two children. He never drank, smoked, or gambled, traits that appealed to Annie's Quaker mother. The couple was married on August 23, 1876, although Butler would later claim June 20, 1882, as the date. Perhaps Butler was not yet divorced when he first met Annie, or maybe the later date was given because Annie had lopped six years off her actual age in the midst of her rivalry with the younger sharpshooter Lillian Smith. Either way, the marriage was a happy one, lasting for some 50 years. Frank, an amateur poet, would write of his wife: "Her presence would remind you, Of an angel in the skies, And you bet I love this little girl, With the rain drops in her eyes." Butler initially kept performing with a male stage partner while Annie tagged along. That changed on May 1, 1882, in Springfield, Ohio. Butler's partner had become ill, so he asked his wife to go on with him and hold the targets. Butler kept missing that night, and a spectator shouted, "Let the girl shoot." 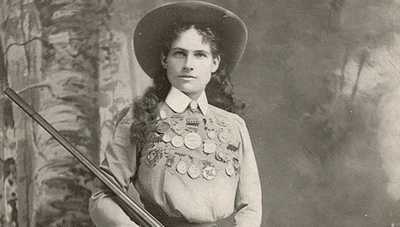 When Annie successfully did just that, it triggered uproar, and soon the shooting team of Butler and Oakley was born. As Annie's fame grew, Frank spent less time on stage and more on management. He handled finances, dealt with logistics, and served as Oakley's press agent. When Hunkpapa Lakota leader Sitting Bull famously "adopted" Oakley, Butler made sure to place an advertisement drawing attention to the fact. And when an anonymous "California[n]" published a letter praising Lillian Smith and slighting Oakley, Butler composed the indignant reply. He occupied much less of the limelight than his celebrated wife, but Butler didn't seem to mind -- he understood that her success helped both of them. 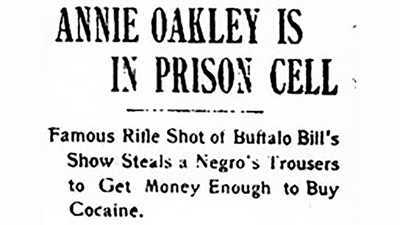 Frank took his turn as family breadwinner after Oakley left Buffal Bill Cody's show in late 1901. 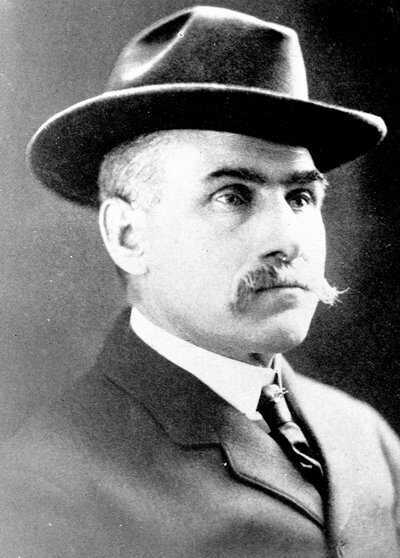 While Oakley occupied herself with her libel suits against William Randolph Hearst's newspapers, Butler became a representative for the Union Metallic Cartridge Company. After Oakley's final Wild West show in 1913, the couple settled into a comfortable retirement, wintering in North Carolina, taking automobile trips, and hunting. The two raised money for the Red Cross during World War I and participated in other charitable endeavors. "Don't you know it's the part of a brother of Man," Frank wrote in a 1911 poem, "To find what the grief is and help what you can?" When Annie Oakley passed away, Frank Butler only stuck around another 18 days, dying on November 21, 1926. 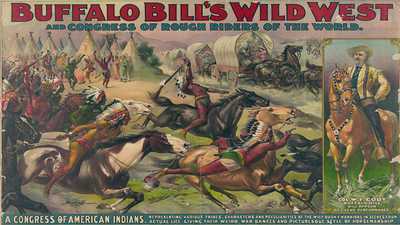 How accurate was Buffalo Bill Cody's Wild West show?